We’ve listed some of our most frequently asked questions regarding our services and the products that we use to perform those services. Please browse through the questions and if you would like more information about anything please get in touch with us to day on 1300 790 177 – we are always happy to answer any queries you might have or provide professional advice regarding what the best service for your particular circumstance might be. + What type of cleaning method do you use? Warm Water Extraction , Allseasons cleans in accordance to Australian Standards AS/NZ 3733 for upholstery and carpet cleaning which includes, Moving any necessary furniture, Pre-Vacuum, Pre-treat marks and stains, clean using a warm water extraction, we rinse thoroughly using fresh clean water. Value for Money – At Allseasons we are committed to each and every customer, our technicians are thoroughly trained and employed by Allseasons (not contracted). We clean to the Australian Standards AS/NZ 3733. We guarantee our workmanship and have an excellent aftersales team. + Are there any hidden extras? NO, the price we quote for your clean is the price you pay, we do not charge extra for pre vacuuming, deodorising, sanitizing, stain treatment or size of room. + How long does the carpet take to dry? Your carpets will be touch dry (like your cloths come out of your washing machine) and on Average will be dry between 2-4 Hours after your clean –This will depend on the type of carpet as wool absorbs 30% of its own body weight compared to synethic which is 10% and of course air flow throughout your home. Turning ceiling fans on low and opening windows where possible will assist with the drying times. No. Allseasons is a family owned and operated business, we are the largest privately owned Company in South East QLD. We have been in business for over 20 years and employ over 30 permanent local staff. + Do you guarantee your work? Yes we offer a 100% money-back guarantee. If you are not completely satisfied, we will return at no charge. If you are still unsatisfied, we will honor our money back guarantee. + Are all stains removable? No – not all stains are removable. We guarantee if we can’t remove the stain it is permanent and no one will be able to remove it without causing damage to the carpet. + How does Allseasons price compare to other companies? We may appear slightly higher up front due to the fact we do not have add on costs. Our price includes moving necessary furniture, stain treatment, free sanitizing and deodorizing, we do not rush our work and our aim is your satisfaction every time. We use only the best quality shampoos and products on your expensive carpets. When comparing prices bear in mind that our technicians are all professionally trained to clean to the Australian Standards, we have over 20 years’ experience, we have professional equipment, we are fully insured, and offer a money back guarantee. + How often should I get my carpets cleaned? 10-12 Months is the recommended time frame as per the Australian standards. When your carpets are professionally cleaned on a regular basis they will always remain hygienic and return good results each time they are cleaned. Leaving the cleaning for long periods will result in permanent discolouration and wear. + What time will the technician arrive? We will allocate a 4 hour time slot when we book you in. We will also call you on the day to give you a more accurate time- not leave you waiting. No. Our technicians are all employed by Allseasons and are fully insured. Lots of our customers love the fact that we come in and complete the work while they are at work. On arrival home the house smells great and the carpets are clean and fresh. Our technician will leave your house safe and secure on departure. + Do you move all the furniture? + Do I need to vacuum before the technician arrives? No. Our technician will move any necessary furniture and will pre vacuum using a quality commercial vacuum cleaner. The vacuum contains a HEPA FILTER which will filter your home of bacteria, pollens and other lung damaging particles. An example of your normal house hold vacuum cleaner removes up to 35% of substance from your carpets; we can get up to 70% out, therefore achieving a much healthier clean. + What is the VIP you offer? We offer EVERY customer one free call out spill valued at $81. If you have an accident after we have cleaned your carpets we will come out once within 2 months of your clean and clean it up for you completely free of charge. If we have applied protection we extend this to within 12 months. + Are the products safe for my family and pets? Yes, our products are Pyrethrum based and confirm to the world health recommendations. We target the wet areas, the actual breading areas; this reduces the amount of chemicals used in your home. + Are the Pest Technicians licenced? YES all of our pest technicians have been fully trained and carry full licences to operate and used Pest Control products. + Do I need to empty my cupboards? NO, there is no need to remove items from your cupboards, we use a combination of dusts and gels in the kitchen, no sprays are used in this area. + Will I see cockroaches, silverfish or spiders after the treatment? Yes, it is possible that insects may wonder in from outside. More often than not they will cross treated areas and will die shortly after. + Is the treatment guaranteed? Yes We cannot guarantee you will not see any more pests at all, however our treatment comes with a 6 or 12 month warranty. If they rebred at any time within the warranty period we will come back and retreat at no charge. 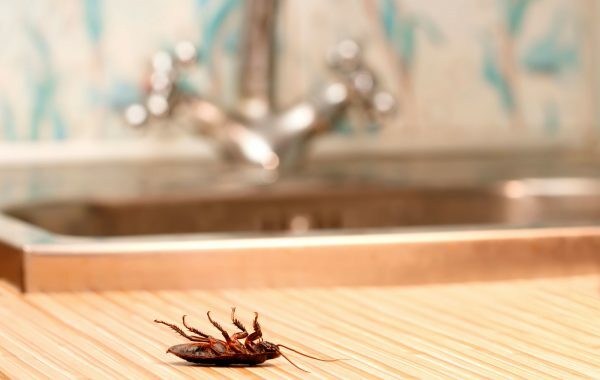 + How often should I have a Pest Control treatment done? Your Pest Control should be checked and re applied every 12 months. If you have a question but can’t find an answer listed above, get in touch with us by calling 1300 790 177 – we’re always happy to help!